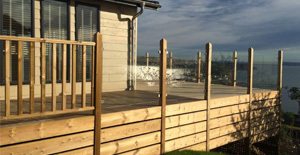 From decking installation to garden terraces, we work with a number of decking and timber supplies who work throughout the surrounding areas in Devon. With their knowledge and understanding of the industry, our experts are on hand to ensure any enquiry has been answered. "Helping to transform the look of your garden using expertise and experience of the industry..."
Woodley's Joinery - " An experienced and knowledgeable team of joiners, Woodleys Joinery are a long established family run business specialising in decking, garden buildings and much more throughout the Devon area." Our expert teams have the knowledge and understanding to be able to assist clients with any enquiry. The installation of a new decking or timber structure to your garden can help add character and value to your property. With their knowledge and expertise, our experts are on hand to assist you with any enquiry you may have to ensure all your needs have been met. For more information about our experts, see below for more information. 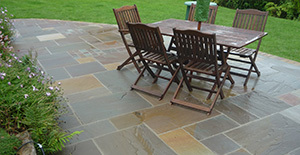 Specialists in decking and garden solutions and a host of other services. 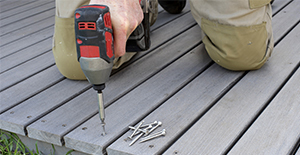 Experieneced and reliable installers of Decking and a host of other timber solutions.